Children&apos;s Book Illustrators: How Do You Price Your Artwork? Many illustrators – especially illustrators for self-published illustrated storybooks – have no Author’s Page on Amazon. Simply because they don’t know how to get one! Author Pages for Illustrators are key to getting better visibility. But it is very important that published artists with a book or books on the market be found on Amazon for two reasons: to sell more books and to make it that much easier to be contacted for other work. I will show you how to get your Author’s Page set up and take full advantage of it. The process is pretty simple but it does involve contacting Amazon Support. Amazon Support Staff will then decide on a case-by-case basis whether your contribution to the book warrants you claiming it and being listed – or not. If you are the illustrator for a heavily illustrated book (for example a children’s book), you shouldn’t have a problem. If you can’t seem to make a new author account without confirming your identity as an author on Amazon, do not worry. Start the process of creating a new account. Go to Amazon Author Central (be sure to use your local version if you publish in your region) and click on the “Join Now”-button. 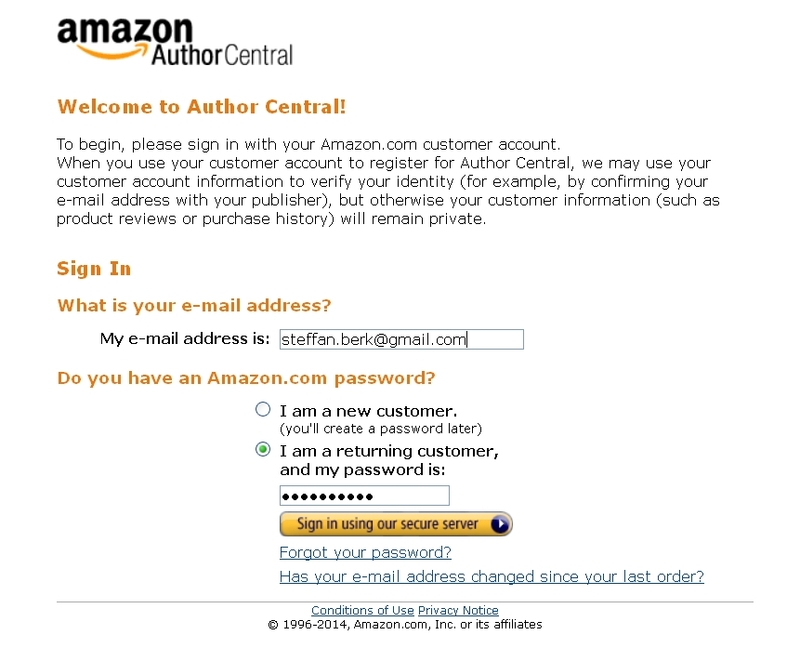 You can use your normal Amazon account to log in and create an Author’s Page or use a separate new email for your publishing. You can then choose your author name, either your real name or a pen name. Then you are prompted to search for your book(s). The trick comes after you click on “This is my book.” Since you are not the author, you have to click the little: “contact us”-link, as shown in the screen-shot below (red box). Now you should be at the same point as mentioned above, where you can now claim the book as a different kind of contributor by selecting “My Books” -> “Add a Book” -> “I’m a different kind of contributor” -> “I’m the illustrator or photographer”. Amazon Support will verify that you are listed as the illustrator of the book. Congratulations, you now have an author page on Amazon! Make the best of it by following the tips in this article. Steffan Berk is the co-founder of GreatStorybook.com and takes care of the marketing and technological aspects. Thanks for all your great work on this site! You are welcome! Chazda and I are really happy that what we do is appreciated 🙂 So thank you for reading and commenting. And thank you also for the idea for the article. Enjoy the site!